This is a color universal recycled cartridge for Part # T092N, T106N, T110N. Also 330-5254, 330-5256, 330-5888. It has been factory serviced, refilled, and tested. 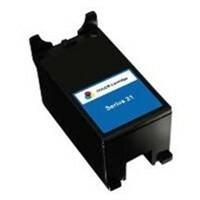 This cartridge will perform as well or better than a new OEM cartridge and will often contain more ink than a new cartridge. 100% guaranteed.